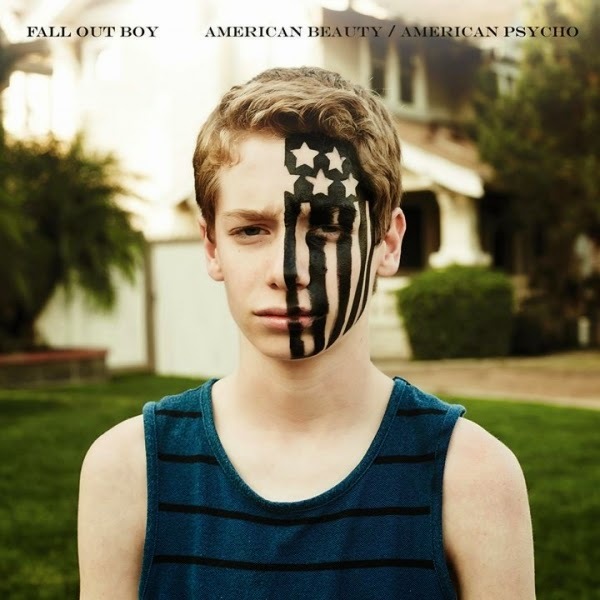 I think Fall Out Boy have really refreshed their image with their most recent album American Beauty / American Psycho. Released on 15th January of this year, the album art seems a lot more striking than their previous covers, following the path of "Save Rock and Roll". The band seems to be progressing to a more political view whilst somehow managing to keep their upbeat sound and catchy lyrics. I have to admit, I am both bias and impressed. I have to admit the album doesn't really start for me until song three Centuries. However, I'm hoping the title song American Beauty / American Psycho will grow on me. As I can see why people may consider it catchy. I can definitely see why Fall Out Boy decided to release The Kids Aren't Alright first as it definitely made me want to hear their album. I feel like the lyrics have a sense of early Fall Out Boy about them and who can resist a little nostalgia? Uma Thurman would be a great pre-party song. Think Pulp Fiction mixed with teenage hormones and you're halfway towards this song. I will definitely be adding it to my playlist! I feel like this album takes you on a bit of a rollercoaster song to song as when a song ends you feel quite energised and many of them start off slower and build up in classic Fall Out Boy style. Sadly Jet Pack Blues fell a bit flat for me and I found myself zoning out whilst it was on. Luckily Novocaine quickly revived me and it is definitely one of those many songs best played loudly (preferably with dance solos). I have a feeling that Favourite Record and Immortals are going to be on repeat whenever I'm walking around or a feeling a bit down for quite a while. Twin Skeleton's (Hotel In NYC) makes the whole album right from the start for me. It was definitely a good song to end on as I will be singing it in my sleep tonight. I definitely think that American Beauty / American Psycho is worth a listen! Although I'm not in love with every single song on the album, the ones I did like I loved enough that I'm probably going to be singing them for three months. Feel free to give it a listen and let me know if you agree with me!